PUNE: The Infosys Pune Development Center (DC) Eco club organized an Anti-Pollution march on December 20, from its Phase 2 campus to Phase 1 campus in the city. The march was aimed at spreading awareness on a mass scale among the people who commute to Hinjawadi on air pollution being caused by the vehicles on the road. In recent few years, the air pollution levels have spiked up due to the overall increase in number of vehicles on the roads and infrastructure developments happening around major cities of India. The problem has been acute especially during the winter season, when the fog combines with the smoke and makes it difficult to breathe, especially for young children and senior citizens. While Pune in comparison is much better off, but with the rate at which the development is taking place and increase in the number vehicles, it won’t be long before it becomes topmost polluting city. The march was hence initiated to create awareness on a mass scale among the commuters to Hinjawadi about the massive health hazards owing to the air pollution. 100-200 Infoscions holding Anti-Pollution and Pro Public transportation banners/ placards and wearing masks commenced the march from Phase2 to Phase 1 campus. 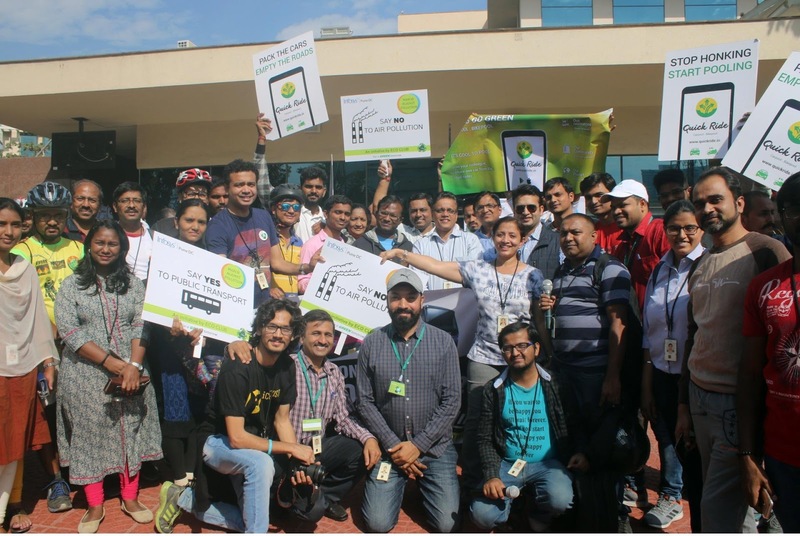 In addition, representatives from public bus transport and carpool vendors including MetroZip, QuickRide, and Greentin Solutions, and NGOs such as Greenpeace and SPTM, participated in the march. 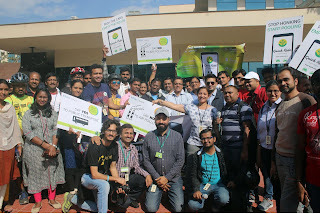 Infosys Pune Eco club, through this initiative aims to make an effort, thereby creating a sense of consciousness amongst the citizens of the city.